The beaches of Jervis Bay are renowned for their white sands and pristine waters, but all is not as idyllic as it seems. The popular holiday destination on the New South Wales south coast is at the centre of the latest PFAS warnings. 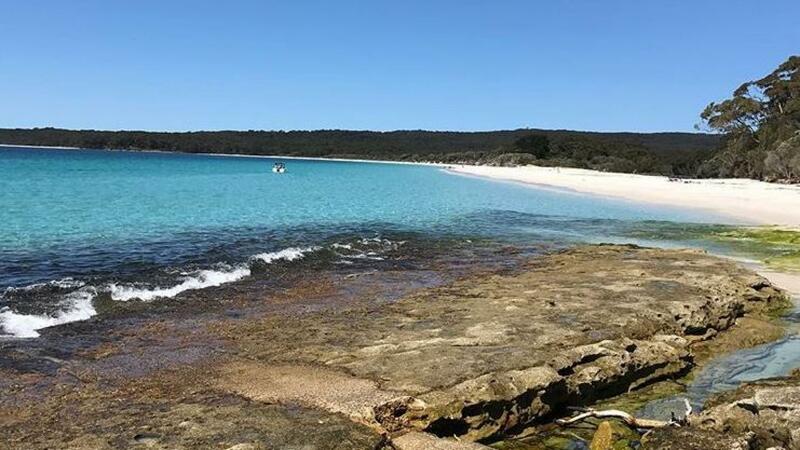 It's been revealed that for decades, chemicals from firefighting foam used at the nearby Jervis Bay Range Facility have been leaching into waterways that wind through campsites and bushland before spilling out onto local beaches. The chemicals have then drained into Jervis Bay itself. In the past few weeks, health warning signs have gone up at some of the most popular holiday spots, including Hyams Beach and Green Patch in the Booderee National Park. The signs warn people not to fish or eat seafood caught in the creeks because of PFAS contamination. The Defence Department said there were no consistent links between PFAS and diseases such as cancer and that advice to limit exposure was given as a precaution. At the nearby Wreck Bay Aboriginal community, resident James Williams claimed the Government had long known about these places being contaminated but had only put up signs two weeks ago. "Tourists come in and fish, you get a lot of people from outside coming in to use the facilities, they pay their entrance fee but they are not being notified," Mr Williams said. "They are just trying to sugar-coat everything and cover everything up." Known as per- and poly-fluoroalkyl, PFAS chemicals have been used in firefighting foams at dozens of defence bases around the country since 1970s. In January 2017, the Department of Defence began investigating whether soil and groundwater at Jervis Bay Range Facility was contaminated with the chemicals. A human risk assessment released yesterday characterised the threat to residents as "low and acceptable". "We've been very open and transparent since the beginning of our investigation," Defence spokesman Chris Birrer said. 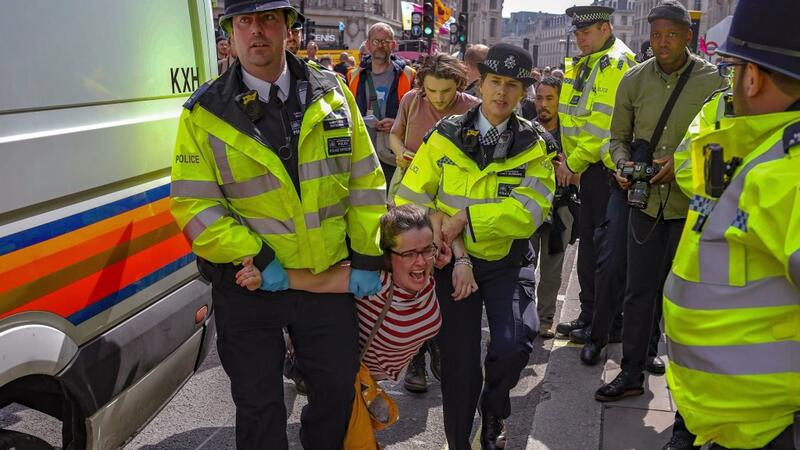 "It's not up to Defence and it's not appropriate for Defence to give health advice to visitors to the National Park or members of the community. "We have been making information available as it becomes available to us." James Williams' father Jimmy is an Aboriginal elder and a former firefighter with the Jervis Bay Brigade. He has been diagnosed with liver cancer. "We did a lot of training at Jervis Bay Range Facility," he said. "And we used to have to go into a superstructure of a ship and they'd hose you down and we'd have to put out the fire," he said. He remembers drinking water straight out of Mary's Creek, which runs down from the airfield and past the Wreck Bay community into Mary Bay. "On a hot Summer's day, it was beautiful the water there that came out of Mary's Creek, nice and cool and clear, but we didn't know what was in it." In 1995, the land in this scenic part of Jervis Bay was handed back to the people of Wreck Bay, who named it Booderee, which in the local Dhurga language means "bay of plenty". It's now believed that by then, PFAS chemicals had been seeping through the waterways for more than 20 years. For the people of Wreck Bay, Mary's Creek has been a traditional swimming and fishing place for generations. "Back in the day, we used to swim in those highly contaminated places," James Williams said. "We used to get earaches all the time and conjunctivitis and sore throats and things like that. "I was always sick as a kid." Two years ago, the water was deemed to pose such a risk to human health that the creek was declared closed. This week's release by Defence of more detailed test results has prompted new health warnings. The traditional owners of the land have been eating seafood caught in Mary's Creek for centuries. Now they have been advised that eating crayfish caught there more than twice a year could result in potentially elevated exposure to PFAS. For fish caught in nearby creeks, including Captains Lagoon at Green Patch, the recommended limit is four to five serves a year. Even wading in the shallow waters of the lagoon, a popular pastime for young families at the campsite, carries a risk of exposure to elevated levels of PFAS. James Williams said the health warnings have come too late. Look at my father, he's dying," he said. "Blokes like my dad may not see next year out because he's got cancer and he believes he's got this cancer from this PFAS." Jervis Bay's drinking water comes from Lake Windermere and Lake McKenzie, just to the west of Jervis Bay Range Facility. The latest tests reveal that traces of PFAS have been found in Lake Windermere but the detailed site investigation report released on Wednesday states they are "well below levels that would be of concern to human health". Jimmy Williams is not convinced. "I have eczema now, every time I get out of the shower you can feel it," he said. "They can't tell me it's not in [Lake] Windermere, I know this area like the back of my hand."